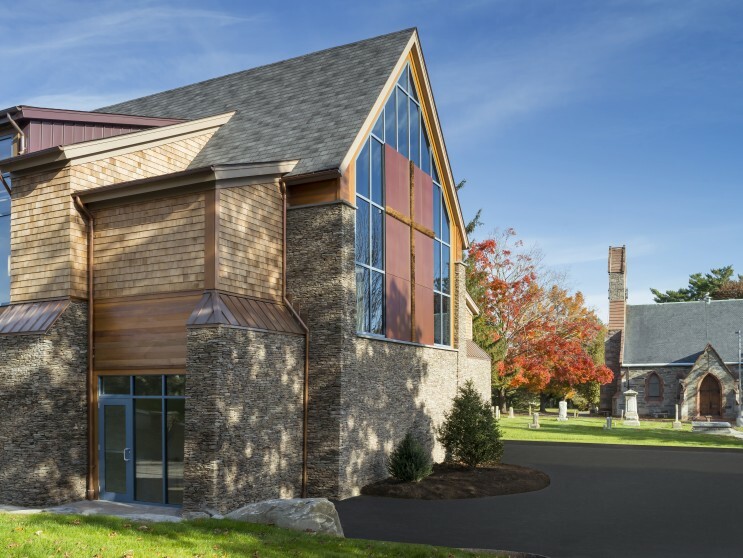 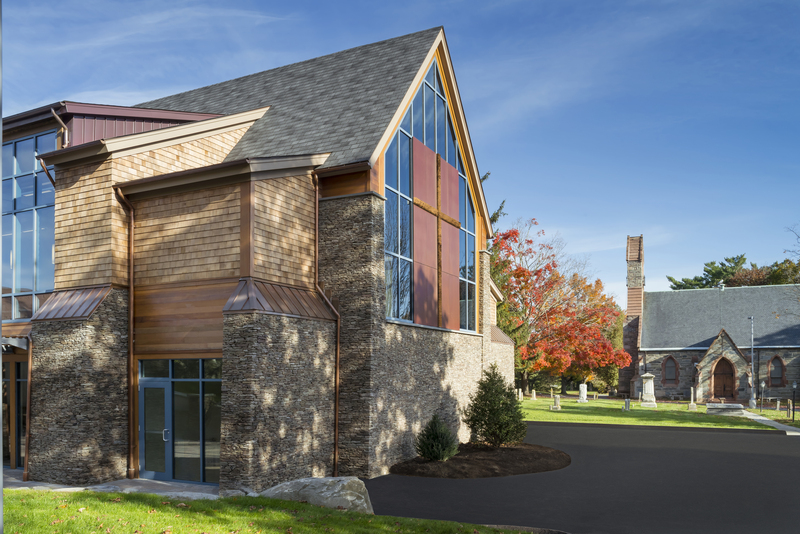 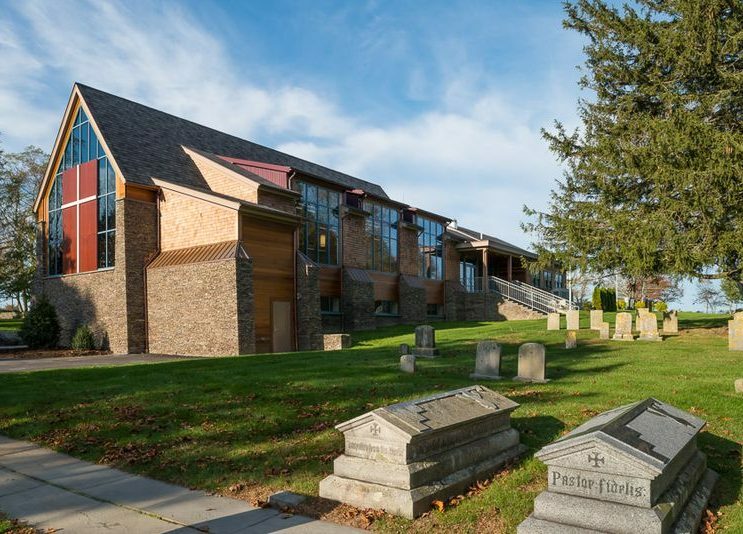 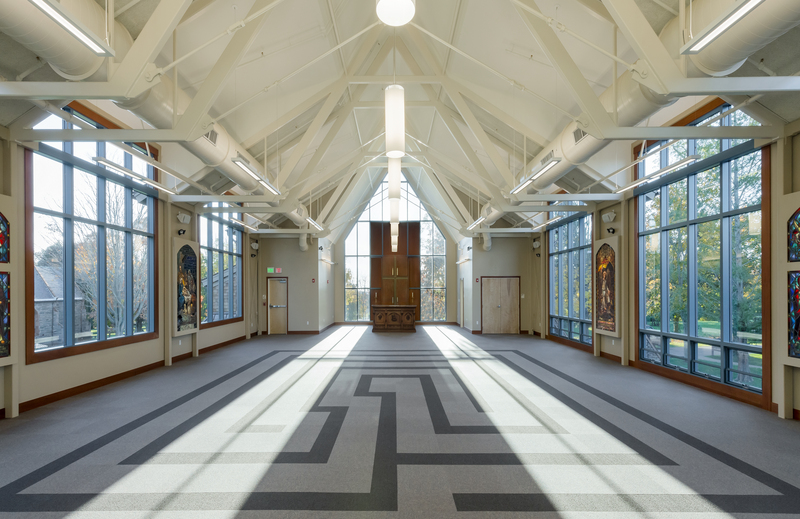 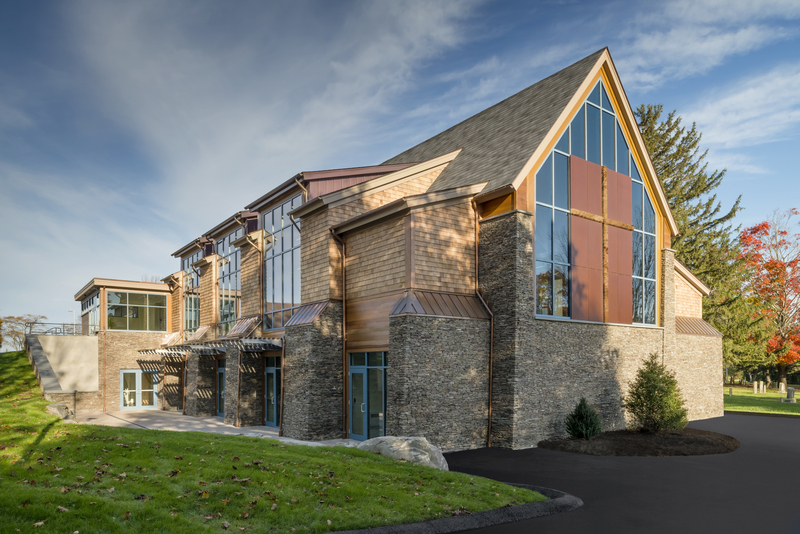 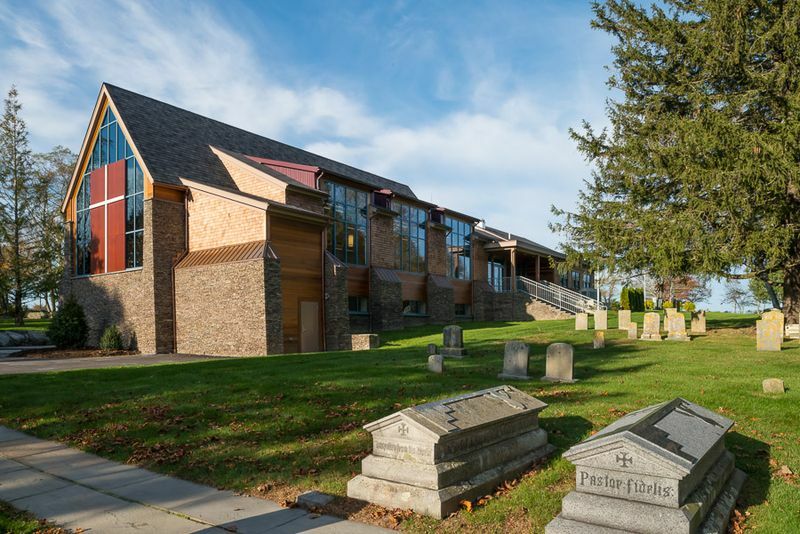 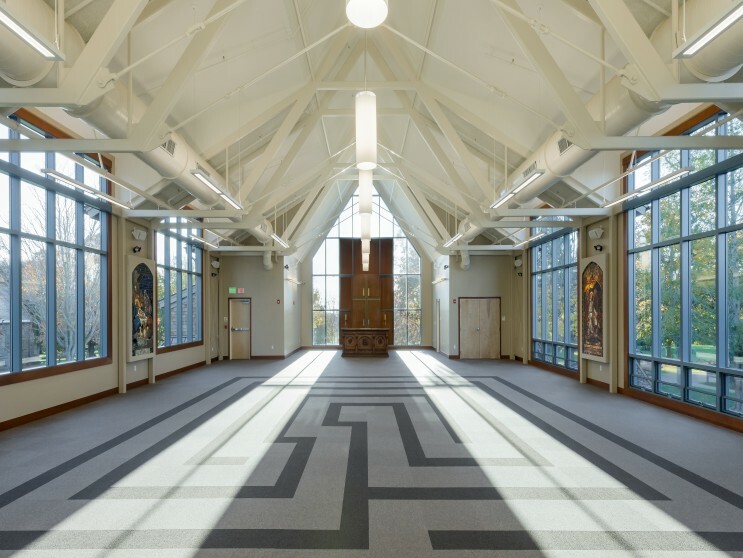 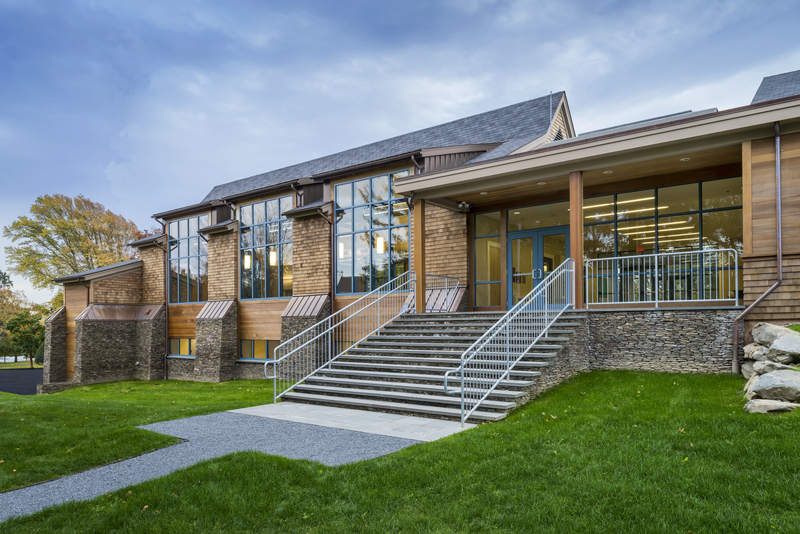 The new 17, 000 square-foot Parish Hall establishes an axial relationship with the church to create a consolidated campus. 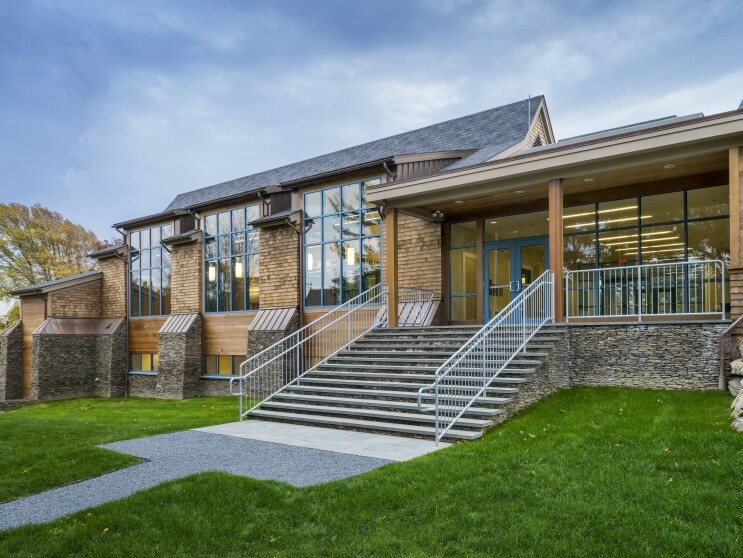 The new building cuts into the hill to take advantage of the grade. 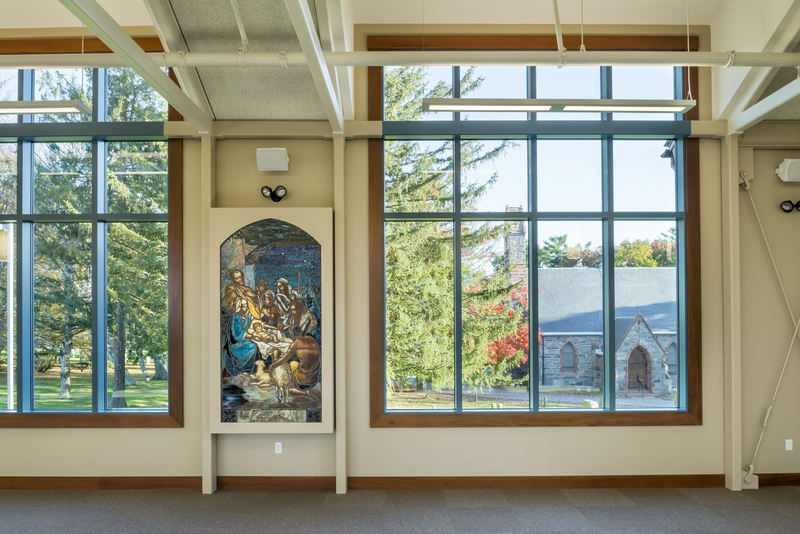 Column-free multipurpose space for services and events is on the main level and classrooms that open to a courtyard are on the lower level. 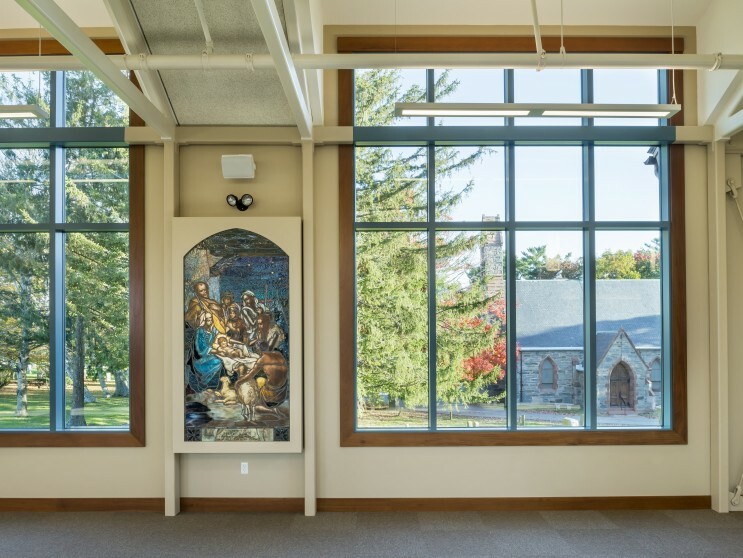 Moveable partitions, separate entries, direct access to outdoors work in tandem to accommodate a wide range of programs. 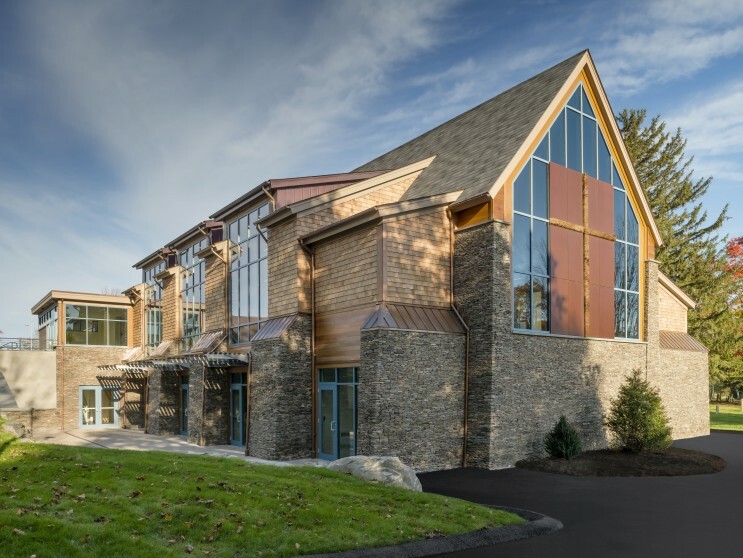 Daylight harvesting techniques, high efficiency boilers and a wind turbine electric generator provide sustainable energy for the complex.